According to Variety, Netflix has cast four of the five lead roles in its live-action adaptation of iconic anime series Cowboy Bebop, with all but ace hacker Radical Edward (and Ein, the dog) now set. 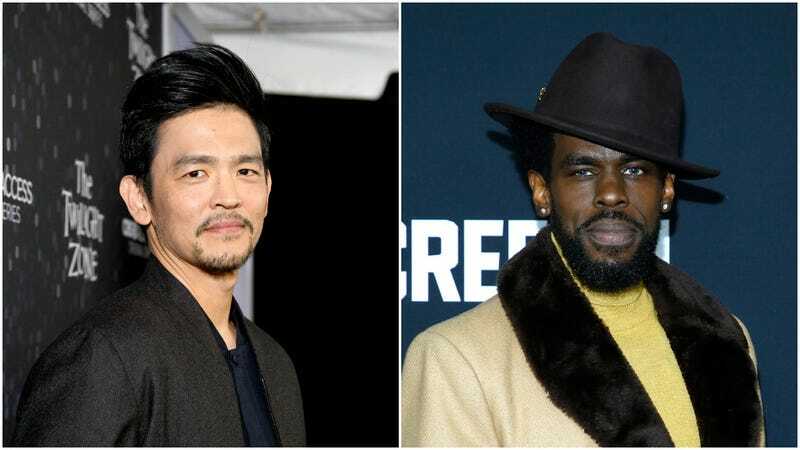 John Cho will be playing main character Spike Spiegel, a roguish bounty hunter in the anime who is always either cracking jokes, smoking, or beating up dudes with awesome Jeet Kune Do moves. Mustafa Shakir (Luke Cage, The Deuce) will be playing Jet Black, Spike’s bounty hunter partner and a jazz-loving ex-cop. Daniella Pineda from Jurassic World: Fallen Kingdom will play Faye Valentine, an amnesiac woman who joins her fellow bounty hunters to escape from her crippling medical debt (and because she just likes to steal and cheat). Finally, Alex Hassell from Genius and The Bisexual will play assassin Vicious, who used to be Spike’s buddy when they were in a gang together but now just wants to murder him. He’s the villain, in case the name “Vicious” didn’t make that obvious. The Variety story has character descriptions that more or less line up with who these characters were in the anime, which seems like a good sign, and it also notes that Ed—sorry, Edward Wong Hau Pepelu Tivursku IV—will be in the show but casting for her is still “ongoing.” That makes sense, since it’s a super weird character who is also a teenager, so hopefully Netflix is taking its time on that one. As for these other characters, though, it remains to be seen how well any of this will actually work. How quickly can John Cho become a master of Jeet Kune Do? And does he have the right cool guy charm for Spike? And is Hassell sufficiently badass enough to play a character whose defining characteristic (at least for most of the show) is that he owns a sword? And, most of all, is Yoko Kanno coming back to do the soundtrack again? Original series creator Shinichrio Watanabe is acting as a “consultant” on Netflix’s 10-episode show, with Thor: Ragnarok and Thor: The Dark World writer Christopher Yost writing the first episode.